How to build schools? Many unresolved issues such as access, equity, inclusion, the role of new media, and changing family structures put pressure on the European school system, among others. More than ever, space is acknowledged to play a crucial role as the “third teacher.”1 But the more attention is given to school space, the more general confusion arises among architects, pedagogues, ministries, and school administrators. The case studies presented throughout this text are part of my work as a practicing architect as well as a university lecturer, researcher, and member of an advisory board to Bundesimmobiliengesellschaft (BIG), a quasi-federal company that administers and constructs a majority of Austrian noncompulsory secondary schools and universities. My understanding of “building” is a broad one, and includes the process before and after the design and building process proper: from writing the project brief all the way to the usage and appropriation of a building once it is built. Architecture is shaped by its own politics of education, of research funding as much as of the normalization impact of architectural standards2 or parameters, such as the current discursive hegemony of sustainability. In the current debate over schools, concepts of biopolitics, flexibilization of work, and questions of governmentality are challenged by critical concepts of education (for example, the educational turn in art and curating or the writings of bell hooks and Gayatri Spivak, among others). There is, however hardly any transfer from such deconstructionist debates into architectural discourses. How do architects generate knowledge? When we conduct research, what knowledge are we looking for? This text will look at architectural research within the particularly relevant field of school building, itself the paradigmatic place for generating or reproducing knowledge. I aim to examine architecture as the spatial materialization of existing power relations as much as a quite powerful agent itself. Gabu Heindl, Skulptur / Festwochen-Zentrum 2014, Vienna, photo: Lisa Rastl. Building is research: by building, assumptions are being tested. Every new built structure is at first only a claim or a thesis. Its potential can be seen only when it is open to the public, to users, and, in our case, to everyday school life. Architecture always experiments out in the field. But in many cases, there is no “undo” button available to us. Thus, architecture’s desire to experiment and test unknown situations is often more at ease with temporary installations than with permanent buildings. The absence of “real constraints” is an advantage in temporary installations, which allow designers to engage in research in more experimental ways. To start, I want to mention a temporary public installation I designed for an urban space in the dense first district of Vienna. Wiener Festwochen, a huge, annual six-week-long cultural festival, commissioned the sculpture outside the festival center in the Viennese Künstlerhaus. As with many of Vienna’s public spaces, this is a contested site: for years it has been defined by building-scale advertisements in front of the Künstlerhaus, an independent art society. In order to raise money for the renovation of their historic building, the Künstlerhaus constructed a scaffold to extend the facade into this unique space, remembered as a lively urban moment in Vienna before its transformation. This is also the only outdoor space for the students of the high school next door. Our sculpture addresses the leftover space next to this scaffolding and tries to reframe this public place as a non-consumerist space. 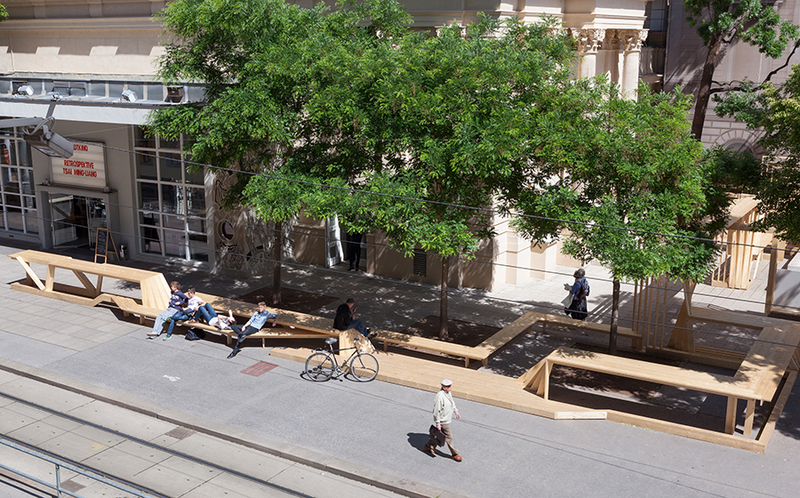 It actively encourages the students of the school, festival guests, or any passersby to hang out in the streetscape without the need to look for a sidewalk café. Because of its irregularly differentiated form (in the usual and unusual relationships between table, bench, and pergola) the installation tests different uses in its various spatial subconfigurations. The 121-meter-long structure is built from identical plates of raw spruce, connected by specific timber joints and screws without any glue. In this sense it is a test for using raw spruce in public space. And as an art piece, it in turn tests the potential of the site.3 As expected, many people including the pupils used it, but none of the anticipated graffiti, engraving, and use by skaters or traceurs happened in a measure worth mentioning—which may be due to the prominent location of the site. I also learned from passersby and my own behavior that we are not used to spending time so conspicuously without consumption, on unusual public furniture within the center of a city like Vienna. With permanent buildings, of course, the unforeseeable is more disquieting. After something is built, there is still so much more unexpected to be expected. Yet, public buildings especially are rarely altered after construction. 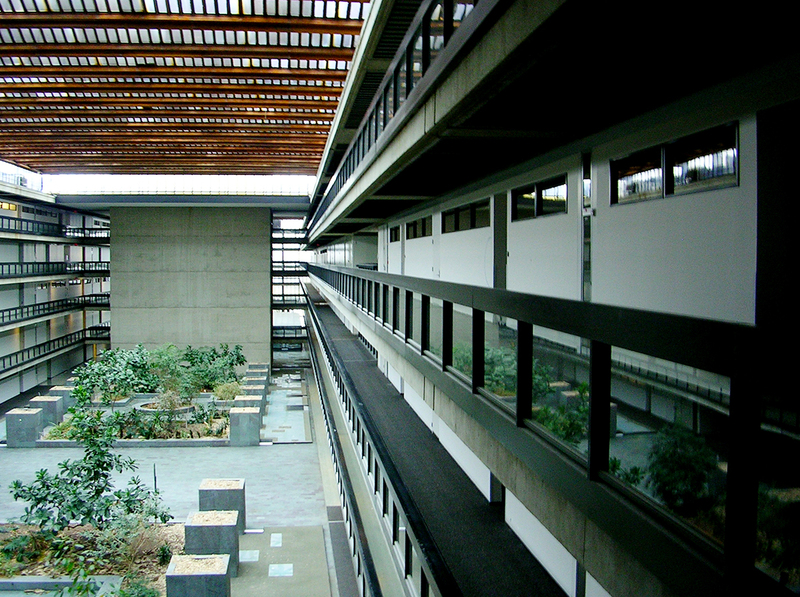 People get used to a buildings’ flaws—or even learn to like them. 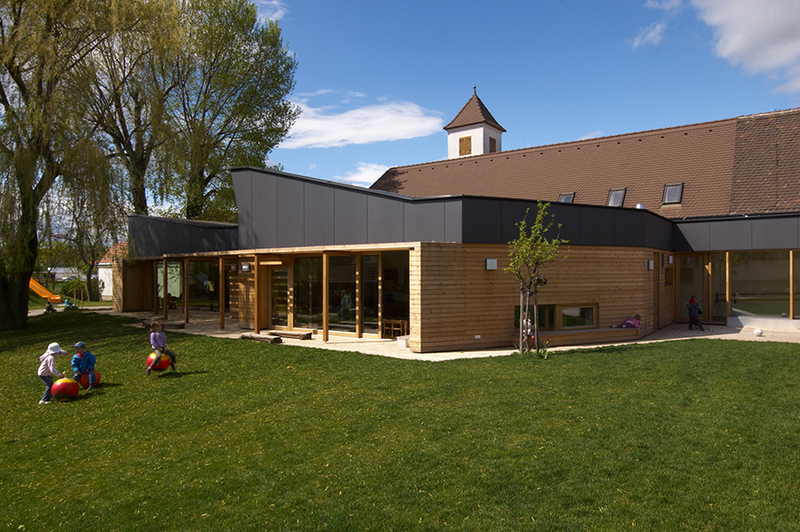 I want to mention a moment in the building process of a public kindergarten I planned in Rohrendorf, a small town in Austria. During the design process we discussed the plan often with the client (the town administration) and users (the pedagogues rather than the kindergarten students). We debated my decision to use natural larch siding due to potential problems of weathering and splinters. While these and other concerns were found to be false alarms, nobody expected that there would be a “dangerous corner.” The wooden terrace surrounding the building allowed the kids to play out in the garden anytime without supervision. At a certain corner of the kindergarten, kids riding tricycles frequently crashed into one another when they did not slow down to look around the bend. The moment the pedagogues informed me of this, I began to think of ways to “repair” the flaw. However, in the meantime they found that no child ever crashed twice. The space became a kind of learning tool. Right outside the kindergarten there is a heavy-traffic road crossing the town—might this mean that we need to consciously design “dangerous” corners into kindergarten design? While such a conclusion would go too far, this empirical finding provides us with a counterargument against the all-pervasive regime of safety and the increasing level of building regulations and risk-assessment rhetoric within school design. 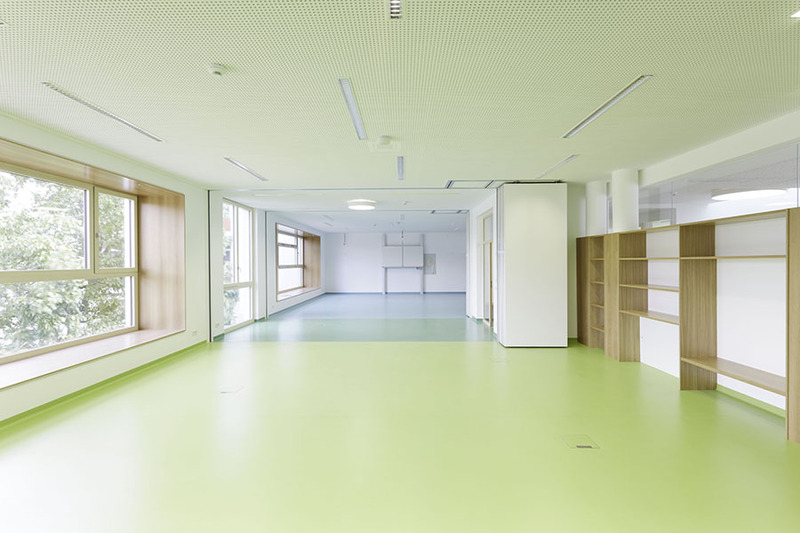 GABU Heindl Architektur, Kindergarten Rohrendorf, “dangerous” corner / learning tool, photo: Lisa Rastl. 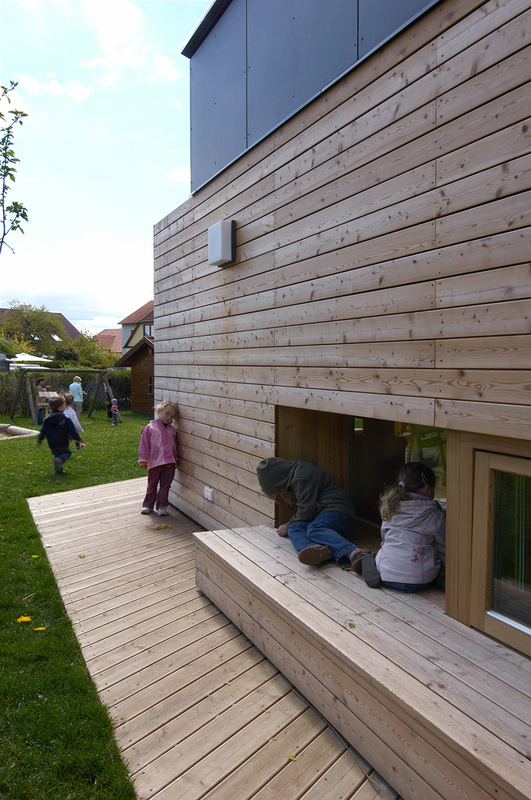 GABU Heindl Architektur, Kindergarten Rohrendorf, “wall for all seasons”, photo: Lisa Rastl. How Morphosis manages to take risks. to relate design claims to the actual interaction of users with the space. We—both architect and users—are required to “unlearn” our preconceptions, or at least to change the question. More foreseeable, yet still not calculable, was a specific research-based argument I proposed for the same kindergarten. As all public construction is required to achieve low-energy-building standards, we built 50-centimeter-thick walls for added thermal insulation, which I took as a point of departure for the design of deep window alcoves for the kids to play in. And while the existing trees were not valid parameters in the building physicist’s calculation software, I made use of architecture theorist Reyner Banham’s term “wall for all seasons,”4 which he applied to the line of trees south of Philip Johnson’s Glass House. Banham, as my “consultant,” supported my argument to keep the existing trees south of the kindergarten to provide natural shading in the summer and sun exposure in the winter. In this specific context, technology was not the answer. Learning and “unlearning” are essential parts of a design process understood as a social practice, which of course addresses, when it comes to schools, the teachers and learners themselves. Work with adolescents requires experience with methods of education. Trafo.K, a Vienna-based office for cultural mediation and education, invited me on several occasions to join school workshops with spatial topics. At a Viennese grammar school, for instance, the pupils of one workshop chose to build recreational spaces, which were missing from their school. Start with a handshake. allow us to reflect on some critical disciplinary shortcomings embedded in the process of building public architecture. trafo.K & Gabu Heindl, “The Chillax Zone,” photos: workshop member. Workshop during design process for extension buildings, BG Zehnergasse Wiener Neustadt. photo: Gabu Heindl. There is a parallel between the conditions of the construction of school space and a school system that prepares students for competition in life: the discipline of architecture is itself largely based on competitiveness. Generally this is true within a limited economy of attention, but more specifically, all public buildings in Austria with a sizable construction budget must be awarded through some sort of architectural competition.architectural competition. How Morphosis manages to take risks. A jury (often accompanied by a lawyer) chooses a project from an anonymous group of architectural proposals that is well developed to allow for the evaluation of architectural quality in relation to the competition brief. That means it is quite “finished” (as a preliminary design) and has a clearly discernible author (the winning team). And to prevent clients from altering the design’s qualities throughout the process, the chamber of architecture legally ensures that winning projects are not changed too much after the competition. Such a process is, of course, the opposite of a participatory process since the planners and the users meet only when the project is already designed. It also perpetuates an understanding of architectural work as simply “fulfilling” a brief in its spatial and functional demands. In contrast, the real challenges lie in writing the brief and formulating the actual questions for design. When asked why there are not more participatory efforts by the quasi-governmental company BIG, one of its managers responded by claiming that school construction doesn’t take “requests”: his worry was that individual concerns (for instance from the school director) would dominate the process rather than enable a discussion of collective needs—a well-known critique of participatory processes. For an extension to the existing school BG Zehnergasse managed by BIG in the Austrian city of Wiener Neustadt (2010-2013), we had to organize “secret” workshops with the school’s one hundred teachers and many of its one thousand pupils. Great ideas emerged, such as the installation of water fountains in the corridors so kids could drink water rather than soft drinks and the “pergola sports field” which combined a shading device with an outdoor climbing facility. We learned what the pupils and teachers valued about the existing school structure, built in the 1960s. And because we developed the concepts together with the students and teachers, the balcony and roof terraces are now being used effectively as outdoor classrooms. Soon we reached an understanding with BIG that this collective process would jeopardize neither schedule nor budget. GABU Heindl Architektur, BG Zehnergasse Wr. 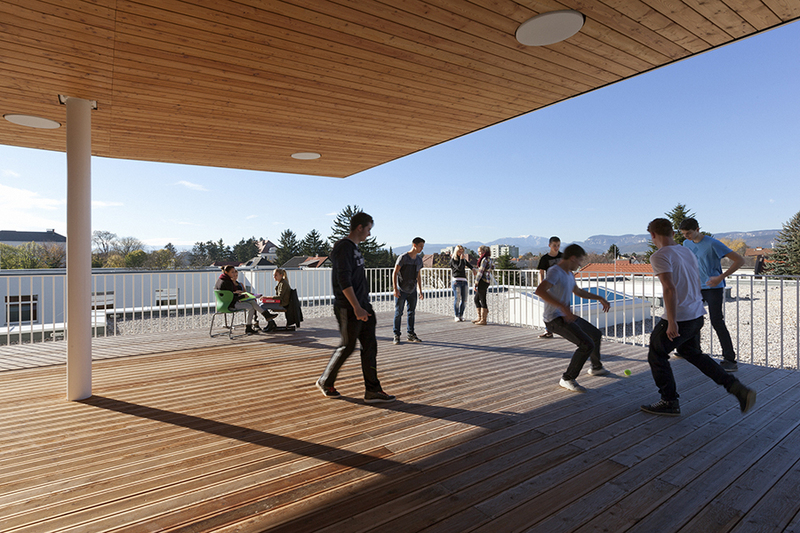 Neustadt, roof terrace / outdoor learning. photo: Lisa Rastl. GABU Heindl Architektur, BG Zehnergasse Wr. Neustadt, Pergola-Playground. Photo: Pez Hejduk. Based on such experiences, my colleagues on BIG´s architecture board and I established a more extensive process for writing competition briefs that enables building users and architects to discuss the specific condition and spatial needs behind programming and budgeting. What’s more, in 2011 the Austrian school building guidelines published a special chapter referring to participation processes before and after school design competitions. Most existing schools are not open to scrutiny of new pedagogical concepts. Often it is technically difficult to change architectural structures, as when load-bearing walls separate classrooms, or when new codes such as the Eurocodes regarding earthquake or structural fire design demand much higher standards than existing ones, or when school buildings are listed heritage structures. Spatial requirements often change faster than the lifespan of built structures. More than half of today’s compulsory school buildings in Vienna were built in the Gründerzeit era (2nd half of 19th century, interrupted by the stock market crash of 1873). This brings us to a general contradiction in architecture between an openness to change and the technical arguments of the architectural complex, such as risk assessment, norms, standards, regulations, budgeting, and so forth. This condition is intensified by the school’s role as a public institution. Uncontrolling weather control. of school buildings established “Corridor schools” (“Gangschulen”) as the most common school type, but also sparked some opposition and the search for more anti-authoritarian spatial models, such as the alternative typology of “Aula schools” (“Hallenschulen”), with fewer corridors and a central space between the classrooms where pupils and teachers could naturally meet. Rising critique of the size of large public schools resulted in the development of the current successful model of “cluster-schools.” Within the cluster concept, three to four classrooms (for approximately one hundred pupils) are grouped together around a common space, often an extension of a corridor open to any use. In a competition for a Montessori-influenced grammar-school in Vienna, my office combined a succession of hallways with a cluster system that provides classrooms with more-intimate retreats such as balconies, terraces, and small-scale learning spaces for the pupils to use in small groups or alone. And we conceived of the ground floor as an explicitly public space to be used by the neighbourhood as well. 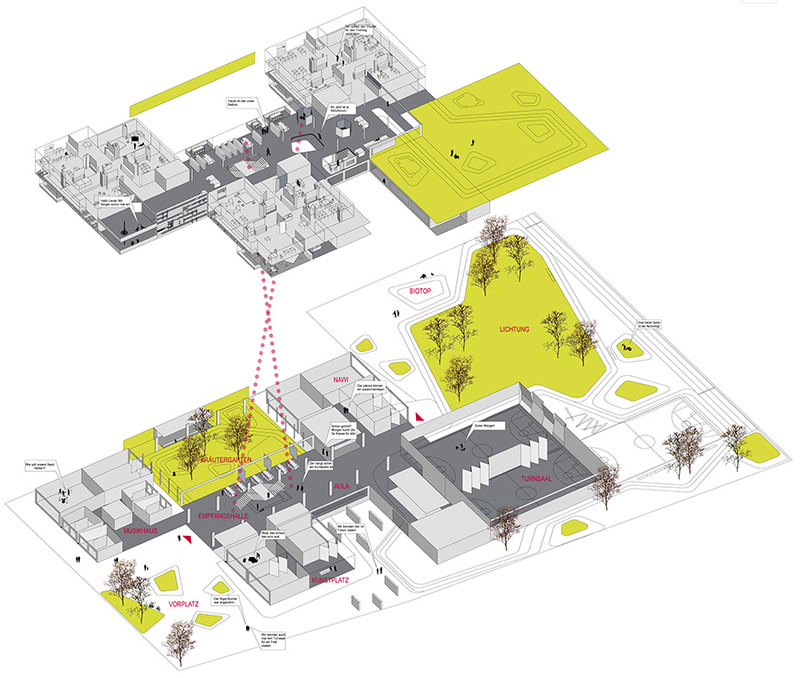 GABU Heindl Architektur, Evangelisches Realgymnasium competition (1st Prize), which provides both open floor plan and clusters with classrooms. The school is a public space where one always has the potential to encounter “others.” As such, schools are a space of conflict, as well as a place to escape from repression in the home. Within a more global context and the right to education, “the classroom, with all its limitations, remains a location of possibility.”7 As bell hooks writes. Growing critique of monologue teaching and of the teacher as authority called for more independent and team-based learning. 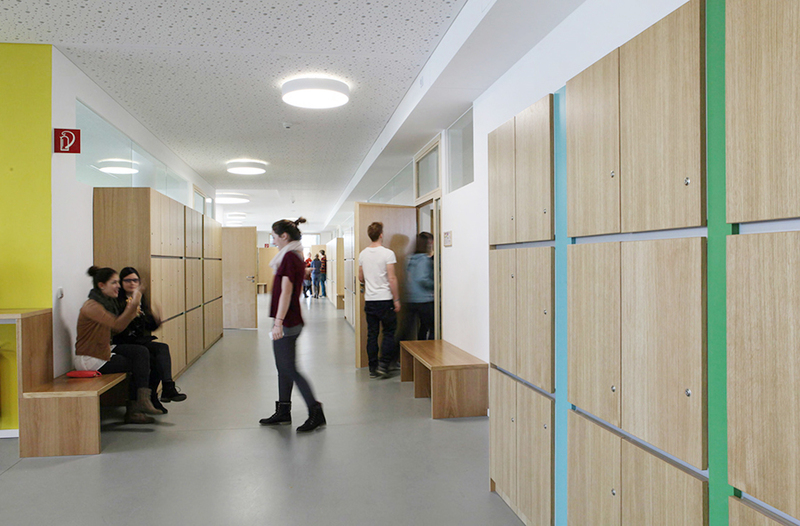 In my design for the Wiener Neustadt school, we built a system of small-size module spaces with a double layer of flexible walls between two classrooms, which allowed flexibility in the size of the space and, most of all, allowed teachers and pupils to change their classroom setting themselves. What was important to me was that the design does not presuppose the use of the space: in addition to more-intimate spaces of 15 or 20 square meters, there can be separate “standard” classrooms, but every such classroom can be extended by the module space to 80 square meters, or two classes can join to create 145-square-meter large halls, which, of course, open up for completely different ways of schooling than within the single classroom. GABU Heindl Architektur, BG Zehnergasse Wr. 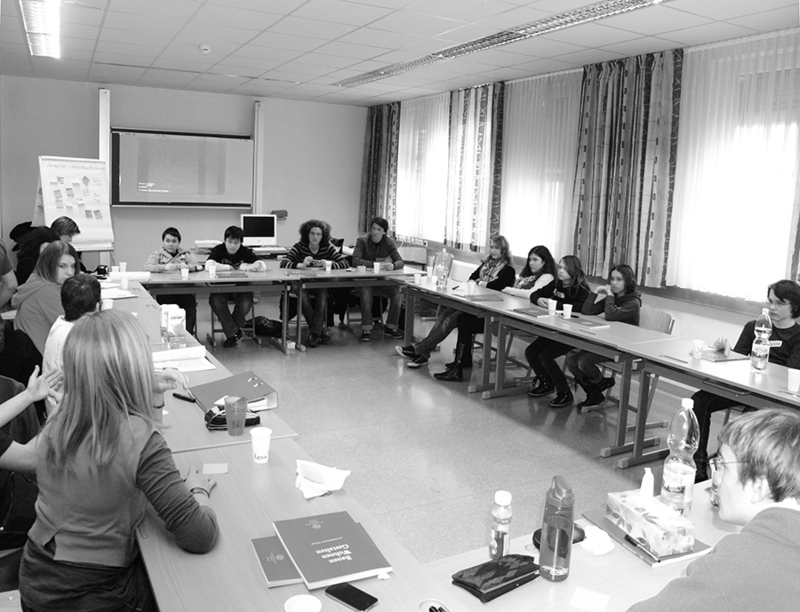 Neustadt, open classrooms, photo: Georg Molterer. GABU Heindl Architektur, BG Zehnergasse Wr. Neustadt, students moving walls between classrooms, photo Lisa Rastl. The classroom demonstrates a shift from disciplinary societies to societies of control. The slow but constant transition from classroom to open floor plan parallels that from Fordism to post-Fordism, or from cell offices to open office landscapes, Bürolandschaften. While much has been written about the change from Fordist to post-Fordist flexibilized conditions of work, this translation is still to be researched in detail when it comes to the school system. When there is no more classroom at all, we could describe this as a “control society school type.” One very good example is the Danish “Hellerup School”—the model school at the center of a discussion across Europe about contemporary teaching and learning methods. This school in the Danish town Hellerup, designed by Arkitema Architects in 2002, experiments with self-control and self-management: there is no classroom but only small “cocoons” of under 20 square meters where teachers and pupils meet quickly to discuss projects, which are then to be worked on independently wherever the students want. The photographs of the school’s interior portray a differentiated open space with pupils scattered about, working alone or in groups. While the open-plan school is today only in an early stage of its implementation, the open-plan office is already a built reality and, due to the lack of intimate space for the employees, is increasingly applied only in combination with office cells. After all, a good working atmosphere may require the choice to simply close the door—whether in an office or in a school, and for the student as much as for the teacher.9 While classrooms are being dissolved, project briefs for school-design more and more ask architects to think of “real recreational space,” asking how pupils take a break in a fluid, continuous landscape for learning. GABU Heindl Architektur, BG Zehnergasse Wr. Neustadt, extended corridor-space, photo: Lisa Rastl. 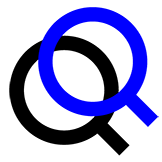 In our context, user and architect are both explicit test subjects. While the classroom is contested, pupils and teachers are being tested, with procedures that are themselves under scrutiny: Are kids to be subjected to grades? For what purpose?10 Are grades comparable? At the moment all Austrian grammar schools standardize final exams by means of a “Zentral-Matura,” a state-orchestrated distribution of the exact same questions to every school nationwide, which is to allow for better comparison among pupils as well as schools. While Gaussian distribution “normalizes” the performance of pupils within the class, European PISA (Program for International Student Assessment) testing compares reading or calculating skills of pupils on a European-wide scale. And it is especially PISA that constantly sounds an alert in the school system, arguing that schools, including their spaces as “third teachers,” are not doing their job correctly. From the kitchen to the field. reflect different interests of the many parties involved in school building and the building industry in general. There is the pedagogues’ and parents’ quest for greater flexibility and choice. In this regard, school design perpetuates the ever-existing dilemma for architects: the choice between an open system free to adapt to changing pedagogical concepts (which will never be very specific) and a custom response to a specific school system (which will sacrifice flexibility). While such relative parameters reveal no absolute truth, the ever more powerful discourse of energy-efficiency performance raises truth claims of “hard facts” and absolute numbers. GABU Heindl Architektur, BG Zehnergasse Wr. Neustadt, large window niche, photo: Georg Molterer. 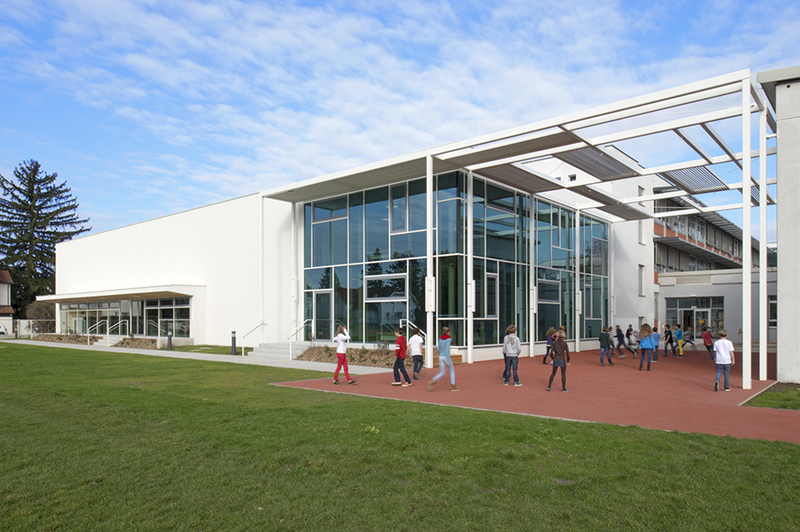 Guidelines by the European community make energy-efficiency measures a mandatory pursuit of any school-building activity. While it is important to raise awareness and realize this potential to save energy, there is also a tendency for the means to become an end in itself: I have more than once been part of a competition jury in which the competition projects were being pre-evaluated for their energy efficiency by a technical jury, which declared—quite simply—an unconditional preference for fewer windows to save energy. 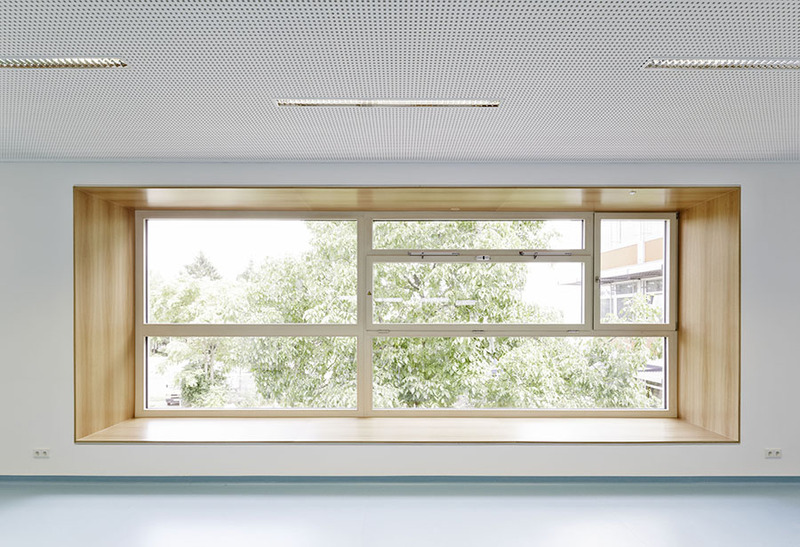 This standardized evaluation overlooks not only the ability to look outside or the qualities of natural light but also the specific condition of a classroom with so many bodies tightly collected together.11 It is, therefore, up to architects in the jury to give weight to such “weak” parameters as usage, quality of space, or sight. In this respect, schools are putting current architectural dogmas to the test. Hard facts are deployed with even greater dedication when it comes to economy and the “careful” use of public money. As with social housing, there are benchmarked construction costs (per square meter) and, consequentially, standards for the number of square meters to be dedicated to each function: numbers that are described as minimum spatial requirements but are often employed as a maximum. To name but a few: roughly 2 square meters per pupil in a classroom are paired with middle-European standards of twenty-five to thirty students per classroom to yield a standard 60-square-meter classroom12 ; standards established by Ernst Neufert calculate the need for recreational space at 0.4 square meter per kid; and the advisers of the Hellerup school proudly present their reduction of the total school space to only 10 square meters per pupil due to their open floor plan. This, of course, is where some of the real “success” of such time-based programming of space is revealed: it saves space. This is the point that gets us to the real challenge: current austerity measures and budgeting strategies. Vienna—of all places, given its “Red Vienna” tradition—recently declared that it cannot afford to construct schools and will from now on use public–private partnerships for construction of the many new schools required to meet the city’s growth. While this is not only a short-term populist measure to lower debts (every economist would advise them to take out a loan), it is first and foremost handing over the political, disputable, quality control to a neoliberal management of governmental duties. We have reached the point at which budget performance evaluations within contemporary school buildings have begun to test the current assumptions of European (post-) welfare states. A critique of the issues mentioned above demands self-criticality in my own practice, and reflection upon the restrictions and potentials of my own entanglements within “the system” (to put it emphatically). What can we as architects and the public learn from the practice of school construction? The role of architecture can not be overstressed when it comes to issues such as equity. We also have to work as citizens, not just as architects. Architecture is only part of the larger politics of knowledge management, but as such, it is deeply involved with political topics both directly and indirectly. The need for modesty in architects’ aspirations for the betterment of society in no way exempts them from an obligation to ask how architecture contributes to existing distributions of power (or “of the sensible,” as Rancière phrases it) and regimes of exclusion/inclusion (or, for that matter, their contribution to question such governmentalities, which is, of course, the trickier matter). Gabu Heindl, architect, urbanist, researcher. Director of interdisciplinary studio GABU Heindl Architektur (Vienna). Studied in Vienna, Tokyo and Princeton. She has taught at TU Delft, TU Graz, a.o., current teaching at Academy of Fine Arts in Vienna. Chair-Woman of Non-profit NGO Austrian Society for Architecture -ÖGFA.